A collection of favourite pieces from Wales and the world of films and musicals. 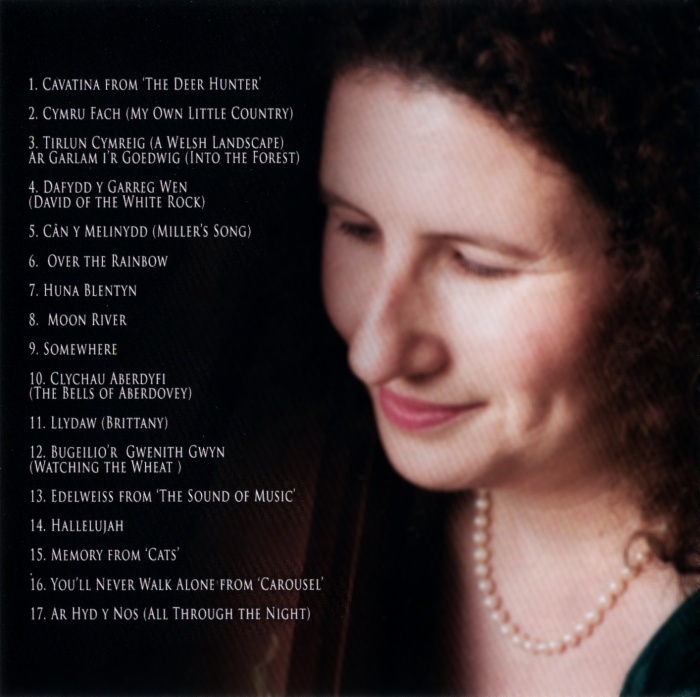 Many of the pieces are frequently requested when Eleri performs at concerts. Eleri joins Jessica Robinson for ‘Cymru Fach’ and ‘Ar Hyd y Nos’. They both met when performing for ‘Music in Hospitals’ scheme, which takes live music into hospitals, nursing homes and special schools to improve the quality of life for adults and children. ‘Clychau Aberdyfi’ and ‘Llydaw’ are both arranged for the Welsh Triple Harp – the traditional Welsh harp. Eleri plays a perpendicular ‘Gwaun’ Triple Harp made by John Weston Thomas of Pembrokeshire with 88 strings. The other tracks are played on a Salvi Aurora pedal harp with 47 strings.